This gi keeps it simple, keeping the frills to a minimum and sticking with basic pink details (though there’s also an option for purple). Currently, this gi only comes in white, and while it looks great, I’d love to see a blue and black option in the future. The material is a little stiff, and the pants, in particular, feel almost paper-y, but I’m assuming this will change with wear. I didn’t get the impression that they would be too easy to rip despite the gi’s super lightweight feel. I was happy to see a silky “rashguard” layer around the inside shoulder area, which would definitely make things more comfortable for athletes who prefer to wear tank tops or sports bras underneath their gis. I really, really like how this gi fits me. It doesn’t feel bulky at all, but it also doesn’t make me feel restricted. The vain side of me was also pleased with how it looks from the side. I have a large bust, so I’ve pretty much accepted that most gis are going to make me look heavier than I am, but this one surprised me with a sleeker fit that almost looked custom-tailored to my body type. I can’t say for sure if other women might have the same experience, but I’m very happy with it. 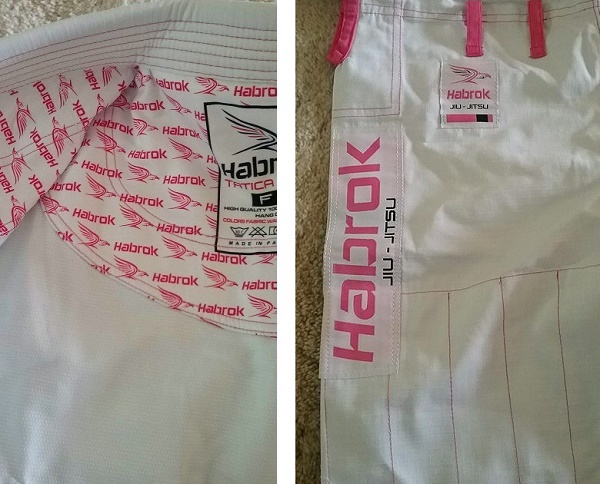 Because I hadn’t seen any fellow female BJJ practitioners wearing Habrok gis, I was a little worried that the pants would fit more like they were designed for men. I was pleasantly surprised to find that like the jacket, the pants were definitely designed with the female form in mind. They come up to the perfect spot on my waist, and I don’t feel like I’ll have to worry about accidentally mooning my teammates. 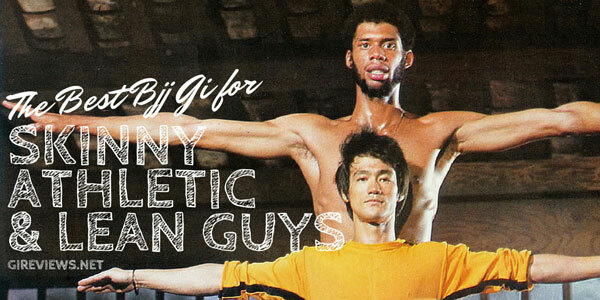 I wore this gi to class over the span of a few months to test out its durability and feel. I was slightly concerned that the pants wouldn’t hold up, but they didn’t show any obvious signs of wear and tear. The “tailored” fit that I mentioned above didn’t hinder my movement at all, and I was able to execute every technique that I wanted to without any issues. I also discovered that this lightweight gi was great for training in hot and humid environments. 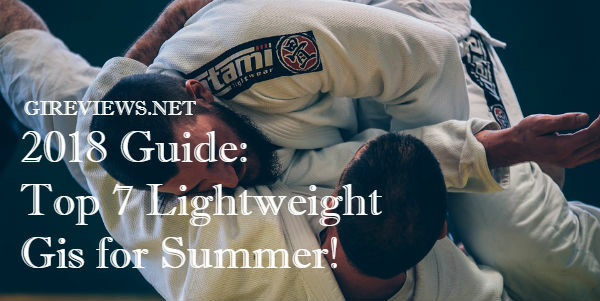 Most of my training with this gi happened in a gym with no A/C during a muggy summer, and although no gi is necessarily comfortable when you’re doing an intense workout in that kind of heat, this gi wasn’t nearly as heavy as my teammates’. It ended up being my preferred gi whenever I knew that the weather was going to be super hot. The bright pink details seemed to fade a little bit from when I’d first taken the gi out of the box, but nothing past what I’d expect after months of being worn and washed. I couldn’t find any threads that had come loose, and none of the patches that were sewn on looked like they were going to come off. The only real problem I had with this gi is the same one I have with all other white gis: it gets dirty quickly. The days I didn’t get the chance to take my makeup off before training were apparent, and the lapel is slightly stained from my teammates’ attempts at choking me. There are also a couple of mild stains on the back of the collar from where my dyed hair made its mark. Again, none of this is unexpected, but given that Habrok currently only offers this gi in white, I think coming out with a black model would be beneficial for women who don’t want their beauty habits discoloring their gis. 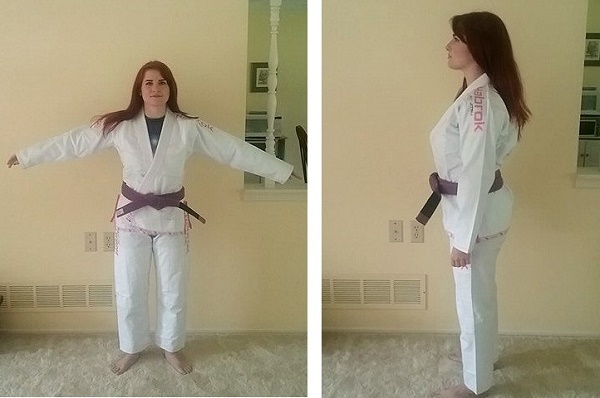 I would openly and enthusiastically recommend this gi to any female jiu-jitsu practitioner. At $105, it’s a great product for the price, and it really won me over with the fact that it actually fits like it was designed for a woman’s body. Although lightweight, its durability hasn’t let me down yet, and the fact that it’s a white gi and therefore attracts stains can easily be overlooked in favor of all the things I like about it. 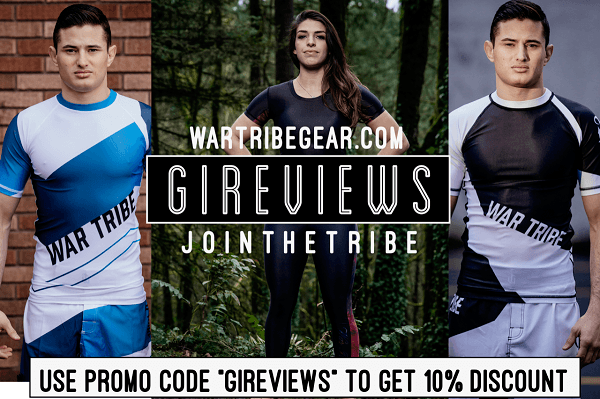 If you’d like to buy it for yourself or check out Habrok’s other gis, take a look at their website and use code GIREVIEW20 to receive 20 percent off your purchase. 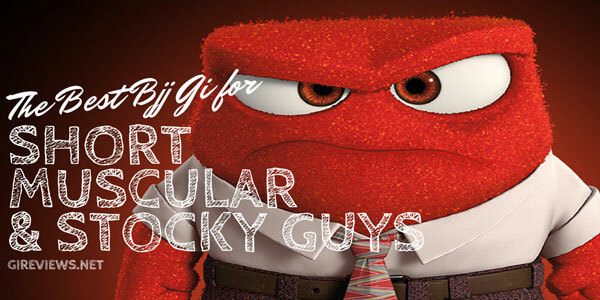 Get the latest in BJJ gis at Amazon! Disclosure: This Gi was submitted to me free of charge (by way of gireviews.net) for review. I have never done any work with or for Habrok. Averi is a purple belt under Andre Oliveira of Pura Vida BJJ in Costa Rica. When she's in the USA, she trains at Mark Shrader's Mixed Martial Arts in Washington, Pennsylvania. Follow her on Twitter and Instagram: @bjjaveri.